“J. Warner brings renewed energy and duty back to knowing how to give an answer for what we believe. His practical and challenging detective approach challenges every disciple of Jesus to no longer be the “accidental Christian” but to have and a clear and compelling answer. 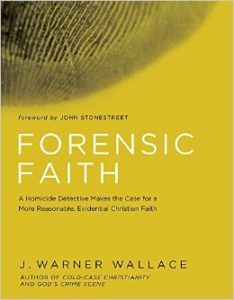 This book will be a great tool for any Christ follower that desires to make a evidential case for why they believe. It’s a call to action for all of us.